Bones Bag are a five piece Italian punk band who began in 2008 and toured heavily around Europe after the release of their first EP called ‘Wild Time.’ Now the band has released their debut full length ‘The Show,’ which is full of gritty punk rock tunes that are equal parts hateful and romantic. 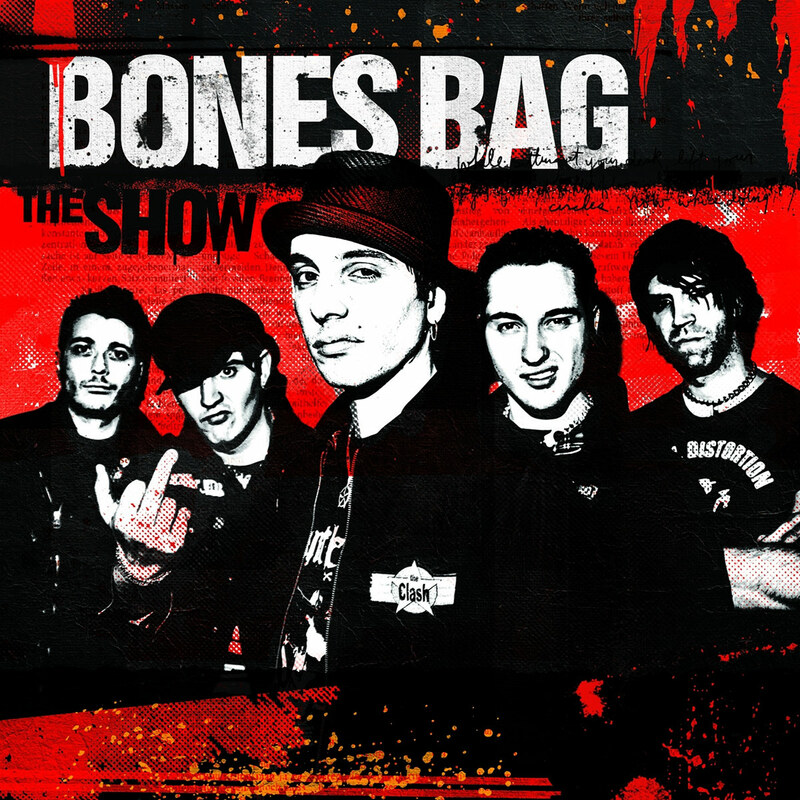 Although a little more variance would have been nice, this is a super fun debut for Bones Bag as it is full of pissed off punk rock attitude and musical talents capable of writing well thought out songs that are the perfect soundtrack for a drink and a good time. Quello che propongono questi cinque ragazzi è puro e semplice punk rock: ascoltando le dodici tracce del disco si è quasi investiti da un caldo vento californiano, che porta con sé un senso di libertà, carica e sregolatezza. I pezzi si susseguono velocemente, senza apportare la benché minima variazione al mood generale del disco, che fila via spedito e festaiolo.